Coming in at just under 450 lb., the Wide Path Camper folds up small and can be towed with a bike, car, or a Piaggio Ape50. 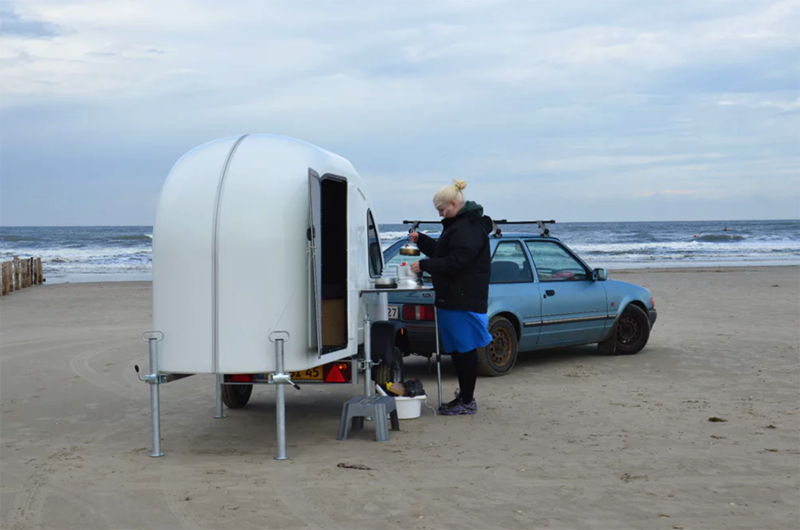 What could only be the world’s smallest camper actually comes in three different models. 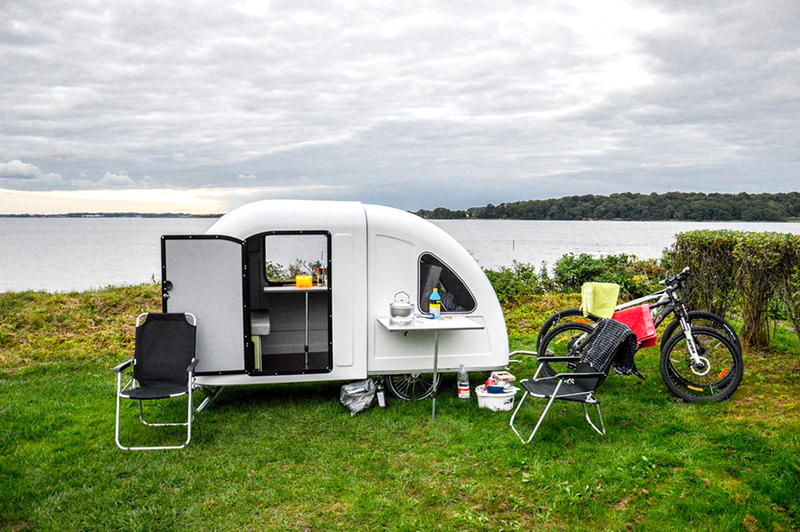 While this miniscule camper started in the bike-friendly capital of Europe, Denmark, not everyone is going to want to tow it around with their Schwinn. 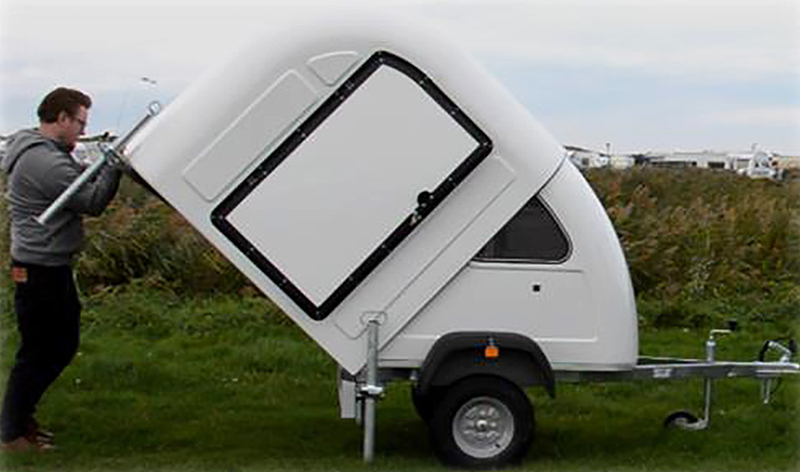 So Wide Path Camper has extended their popular, lightweight design into two additional versions. One for vehicles and another for an Italian commercial vehicle. 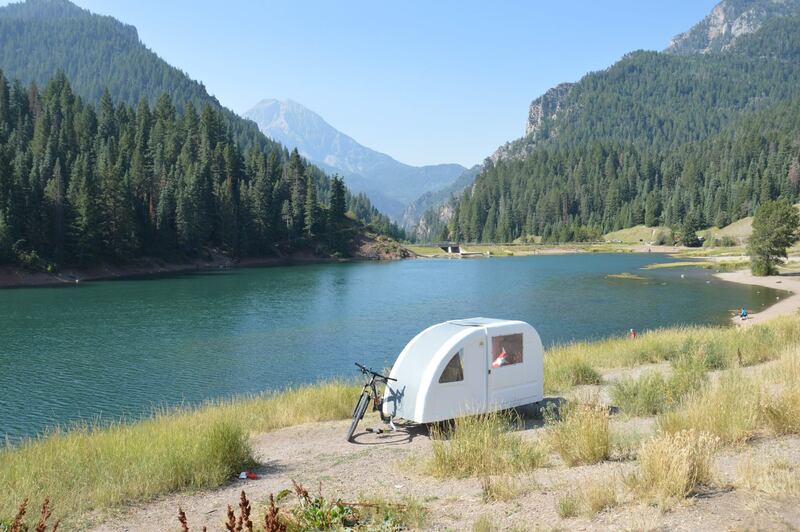 The Wide Path bike camper is coming to the U.S. and also has two other versions. 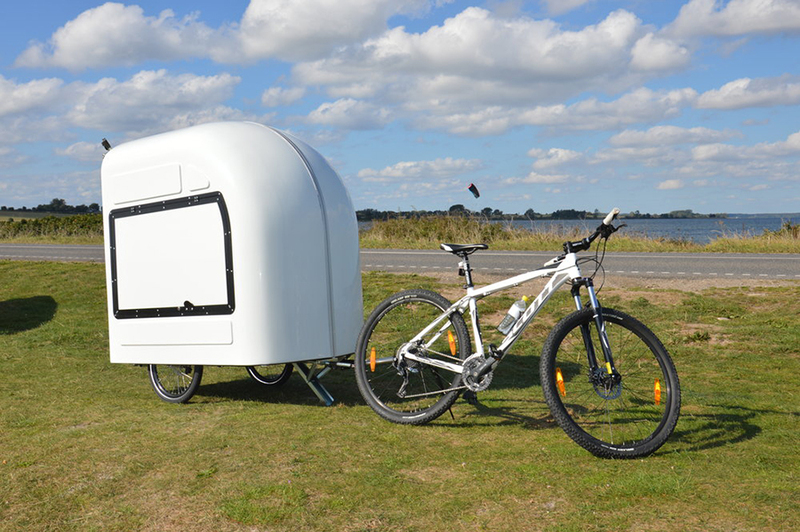 The original Wide Path bicycle camper is only five feet long and actually comes folded in half. 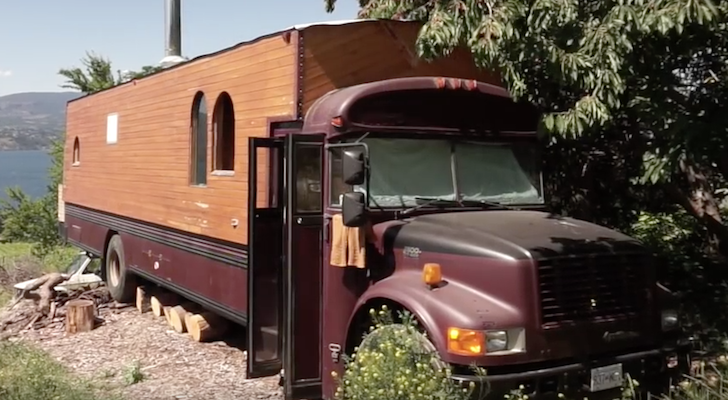 It only takes about three minutes to unfold the camper to unveil its livable interior. Most importantly, this version can now be ordered directly from the Wide Path company for minimalist camping use in the U.S. The Wide Path camper is made for extremely lightweight camping. …it can be unfolded in about three minutes. 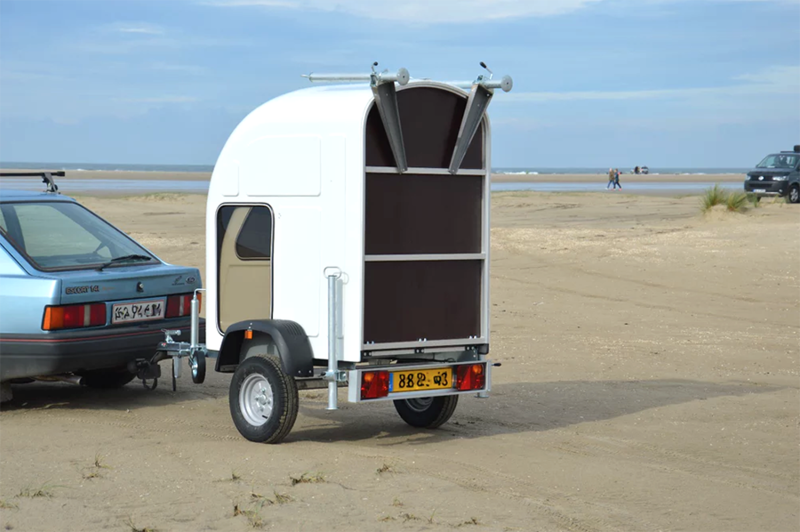 The two new versions of the camper are meant for towing with vehicles. 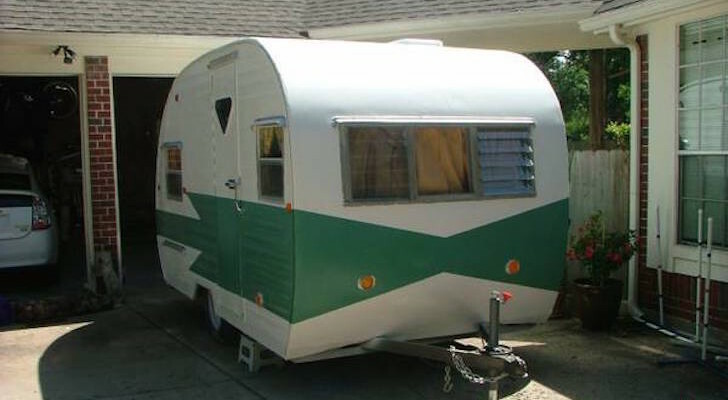 The “Homie” Car Camper is a lightweight trailer with a hard shell and polycarbonate windows. 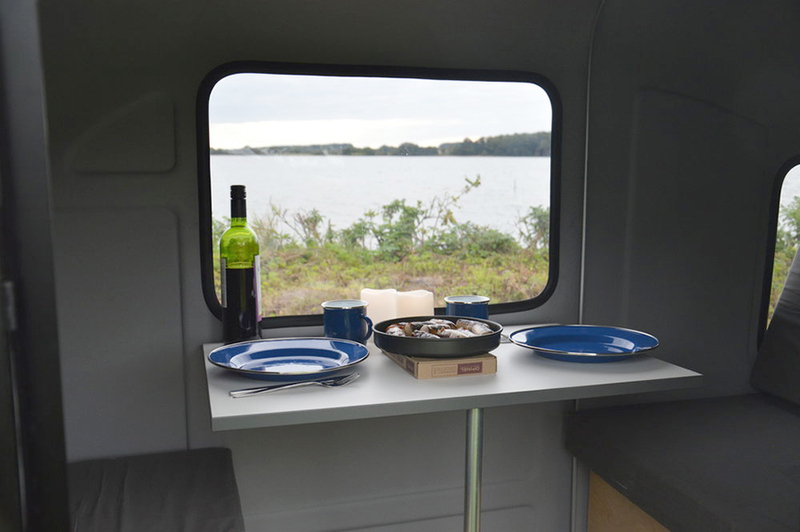 The interior (like the original bike camper) has a dining table for two that converts into a 3.25×6.5 foot bed. Cooking is done outside on a removable platform. Other details include a built-in rail for a tent or sun cover, a small nightstand by the bed, and a water-resistant plywood floor. Handy storage is located under the dinette seats. 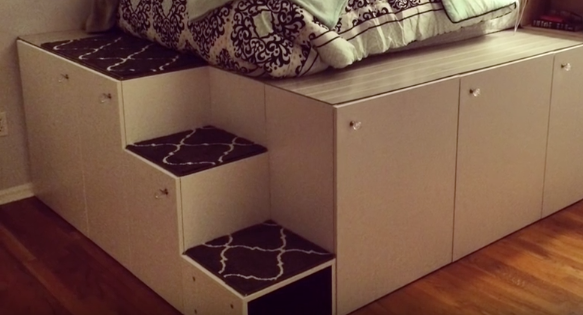 …that converts into a double bed. 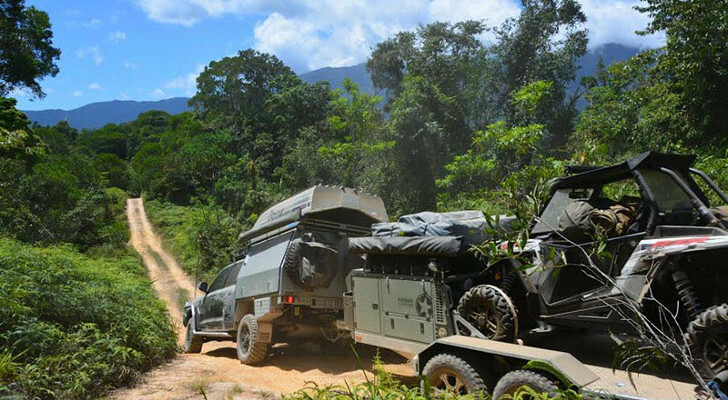 The third version is the Ape Camper. An Ape is a three-wheeled vehicle built by the Italian company, Piaggio. Designed primarily for commercial use, this unusual car is actually based on a Vespa scooter. The Ape has been used in Italy since the 1940s. The Ape can tow up to 452 lb. and gets an impressive 185 miles on a single tank of gas which makes the Wide Path a fun, lightweight vehicle for the Ape Camper. 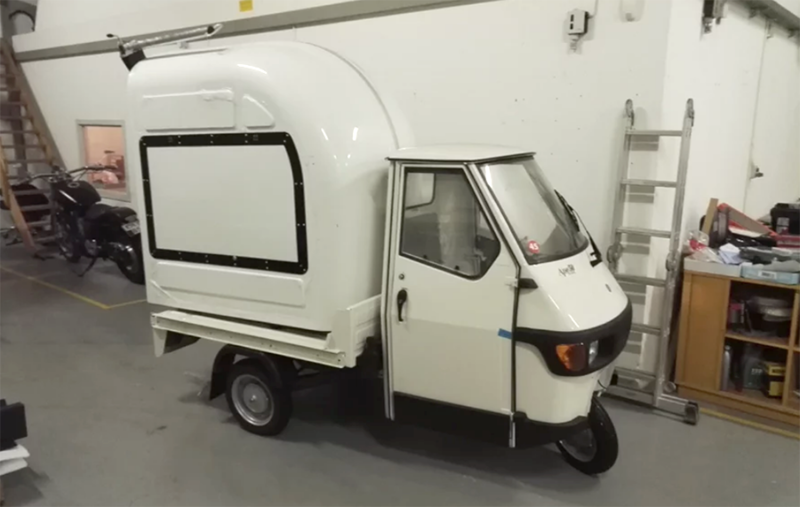 One of the Wide Path versions is designed to fit onto a Piaggio Ape50. The Ape Camper has the same layout and folding capabilities as the bike camper and the “Homie” camper, but instead of being towed, the front end can be placed on the Ape50’s utility deck. 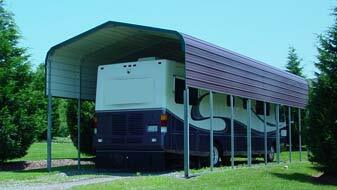 Wide Path also offers several optional extras for their three camper designs. 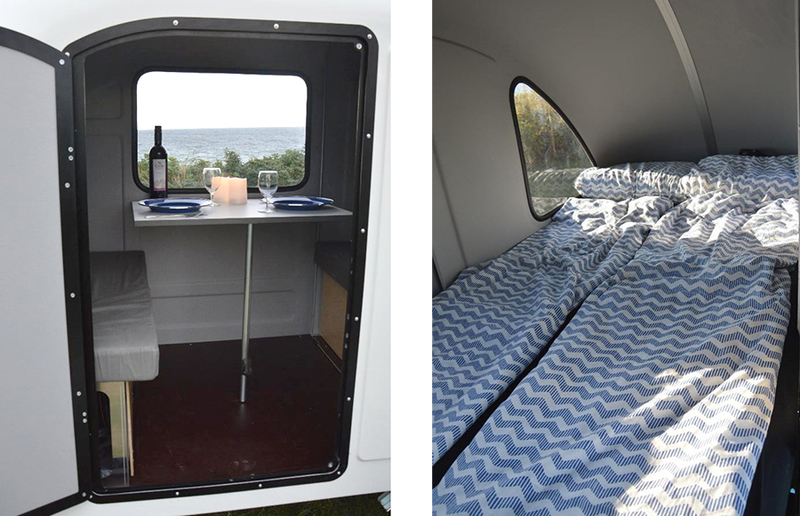 The Luxury Package includes thicker cushions for the dinette and bed, matching throw pillows, and a tablecloth. 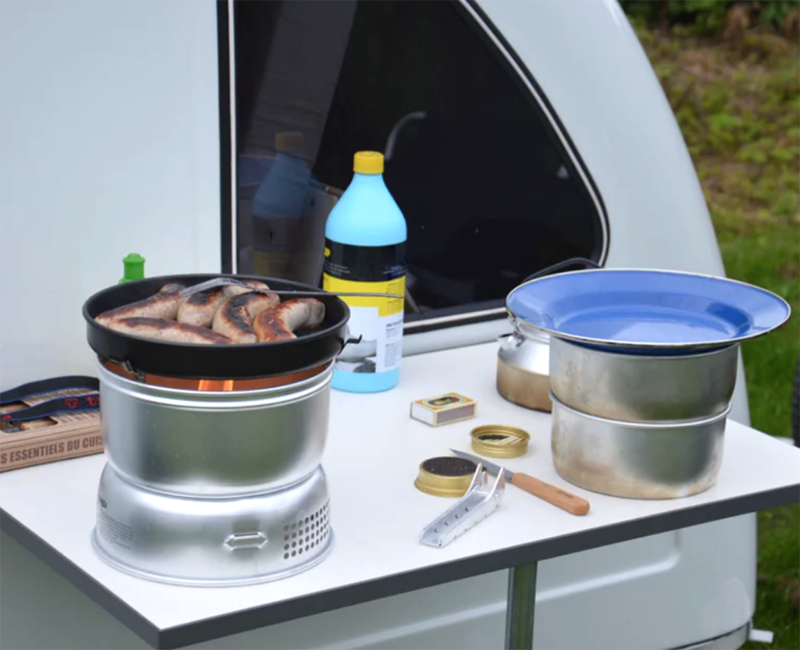 The Outdoor Package has a lightweight cooking table and two camp chairs. The Kitchen Package includes a Trangia ethanol stove, pots, pans, and a cooler. The Solar Package offers a 47-watt Italian solar panel, 12-volt 24Ah battery, LED lights, and fans. Each of the Wide Path models can include upgrades like solar power and a kitchen package. The Wide Path was originally designed by Danish designer Mads Johansen, but the company was recently purchased by Thomas Møller Pedersen, APS. This company specializes in Piaggio Apes, Vespas, Moto Guzzi and other Italian brands. Consequently, there might be a lot more Wide Path Campers coming our way. 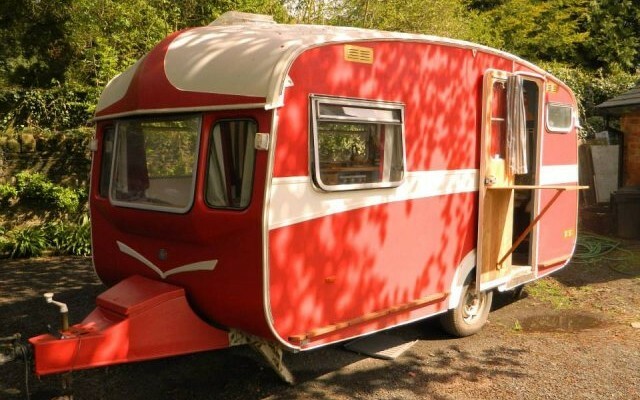 The Wide Path camper currently costs €6,500 or $7,245. 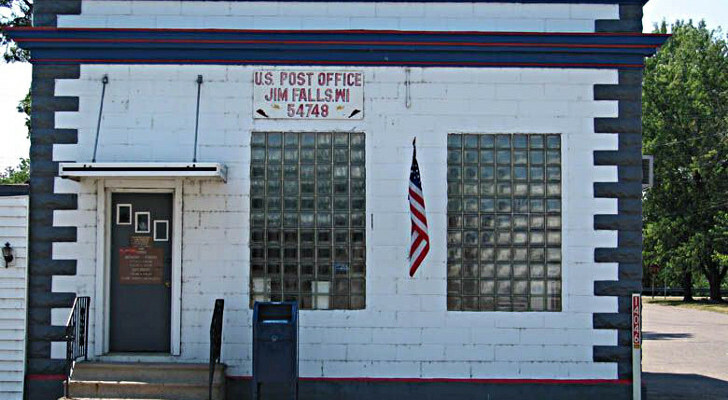 For more information, see their website. If the back half folded into the front half, it could be towed folded out in rainy weather. Where would you put the air conditioner? If you don’t go below 5000′ in the summertime, it’s OK. The closest US made choice is the Aliner “Alite” mode. About 900 lbs, but does have AC. With the current downward trend to minimize i.e. 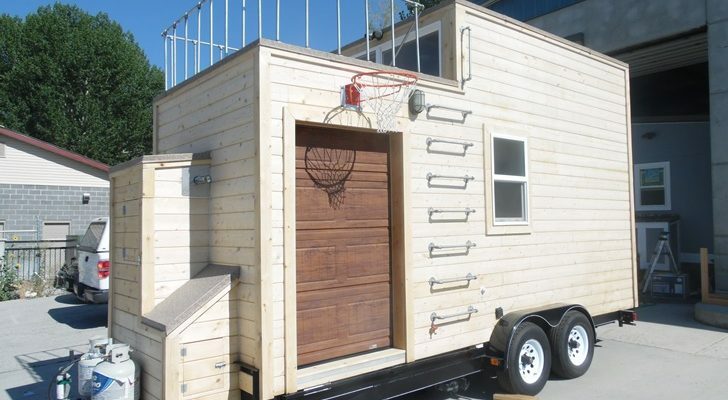 tiny homes I can see where this little unit can carve a niche in the market. My question is how sturdy is it when an eighteen wheeler is zooming past on the road. Lots of turbulence.